A ukulele is a small, four-stringed guitar originally from Hawaii. The instrument can easily be confused for being a small guitar, with an anatomy that features a body, neck, fretboard, headstock, bridge, nut, saddle, strings and tuners. However, the two instruments differ when it comes to the number of strings, frets, the ease of learning compared to playing guitars, and the sound. When it comes to picking out the best ukulele, it can get a little bit more complicated than choosing a guitar. 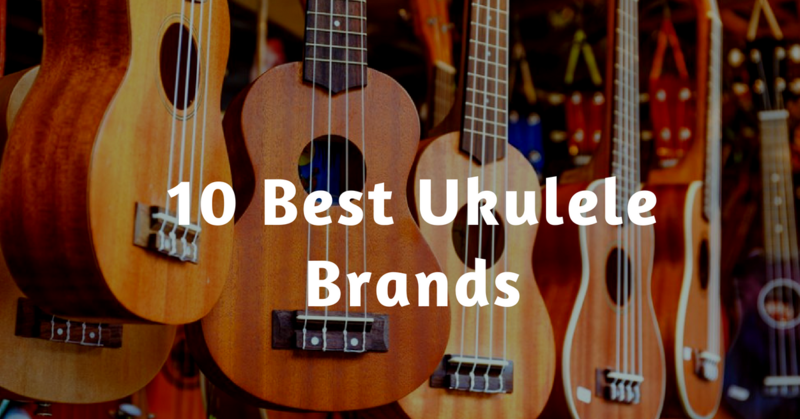 Here are the ten best ukulele brands that will give you a quality ukulele whether you’re a beginner or pro. This brand has top quality instruments that are pretty affordable compared to others in its league, not just for guitars, but ukuleles too. Anyone who has used this brand of instruments is almost always happy with it, and among its best ukuleles is the OU5 concert ukulele and the OU12 soprano ukulele. The OU5 is more traditional, made entirely of the original koa wood like most original ukes, with a Nyatoh design neck, and abalone binding on its body and neck. On the other hand, the OU12 soprano ukulele comes in a simple design, with no bells and whistles, a mahogany body, and a great tone. The benefits of the Oscar Schmidt ukuleles include great build and quality craftsmanship, koa or mahogany wood body, versatility, and crisp tones. Kala ukuleles are constantly enhanced to deliver only the best in quality, whether it is an entry level model or the higher end instruments. Among its best ukuleles are the Kala KA-15S and the Kala KA-C. The KA-15S is one of the most popular soprano ukuleles with a mahogany body, and a balanced, crispy, yet consistent tone. It not only has a good tone wood, but also great build quality, balanced tone, is reliable, and reasonably priced. Kala KA-C, on the other hand, is a concert ukulele, the best in its segment, has quality strings and build quality, a well-balanced tone, and good tone wood. This brand is based on Oahu island, in Hawaii, and just by virtue of being in the home of ukuleles, you’ll expect their instruments to reflect the true meaning of the ukulele. Its models include the Lanikai LU-21 and the LU-21C. The LU-21 is a soprano ukulele loved by beginners and intermediate players for its great build what with its nato body that’s uncommon today, a great tone, and good set of strings. On the other hand, the LU-21C is a concert ukulele that’s scaled up from the LU-21, but with the same nato body, white binding and mare, though it is larger in the neck and has wider frets. Its sound is more resonant and the volume is louder, but it is a reasonably priced ukulele and is the best in its category. Mahalo is a popular brand of ukuleles and most experienced players must have at one time during their entry stages used it as beginners. Its models include the Mahalo MK1 TBR Kahiko and the Mahalo Hano Series MH2. The MK1 TBR Kahiko is not only affordable, but simple and very basic, with a decent build quality and craftsmanship, and good tone quality. The Hano Series MH2 is a concert model that is not just beautiful, but has a vibrant finish with the segnon wood, balanced tone and is one of the cheapest in its category. Hola! is an affordable and decent ukulele brand with models such as the HM-21 and the HM-124MG+ Deluxe. The HM-21 is a soprano ukulele with a maple design, great and balanced tone, decent performance, an all-mahogany body, and formidable build quality. The HM-124MG+ Deluxe is equally built with good quality materials in terms of craftsmanship and fit, with a mahogany body and nato neck, white binding, and its tone is crisp and balanced. 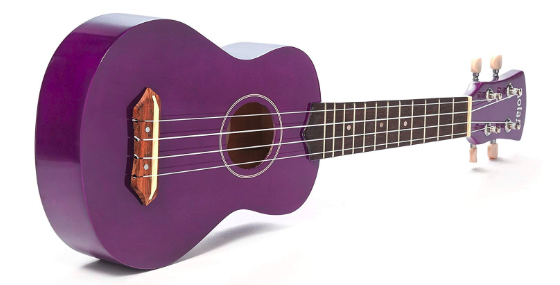 Luna is a brand well-known for its instruments, and has a great reputation in the ukulele category, offering solid instruments for any type of player, whether beginner, intermediate or advanced. Among its models are the Mahogany Series Honu Soprano, which obviously is made of mahogany, and has a refined look with great craftsmanship and balanced tone, though it is pricey. The MALU Mahogany Series Maluhia model is a concert ukulele that has great sound and intricate detailing, all at a decent price. This brand of ukuleles is designed with functionality in mind, besides being reasonably priced. The most popular model is the mahogany concert ukulele, which is full-sized with a mahogany build, white binding around its body, a bright tone, and its strings can be swapped for better sound. On the other hand, its mahogany soprano ukulele also features a mahogany body with white binding, a mahogany designed neck and rosewood fretboard with brass frets, and a brighter tone with great intonation. It is more expensive among soprano ukuleles but it is worth its price and suitable for all players. Sawtooth has a great quality of ukuleles that are affordable with great construction and tone. Its models include the ST-UKE-MS and ST-UKE-BSSB, both of which have good build quality, are affordable, and deliver great and well-balanced tones. The ST-UKE-BSSB is a soprano ukulele with a decent sunburst finish and tone, and its price is on the lower range, while the ST-UKE-MS delivers a punch in the trebles offering a nice, warm sound, with an etched sound hole. This brand has a traditional aspect when it comes to its ukuleles, delivering more in terms of sound than it does in aesthetics. Its popular models include the Diamond Head DU-200C Deluxe, and the Diamond Head DU-106 Rainbow Soprano. The DU-200C model is designed to enhance its concert tone, though you can change the strings, plus it has a good quality mahogany build, great sound and clarity of tone, and is very affordable. Similarly, the DU-106 has a decent build quality in various finishes, is affordable and delivers decent sound. However, it is a full blown soprano ukulele, and is good for those trying to gain skill and experience or looking for a good ukulele to use. Having experience in designing and delivering high end classical guitars, you can not only expect great quality, but also tone and designs from Cordoba. The two well-known models it boasts include the 15TM, which is a tenor ukulele made of mahogany and has a clean finish, great tone, and good craftsmanship. On the other hand, the 20CM is a concert ukulele with great build quality, which makes it one of the most expensive ones, but it also delivers great tone, range and clarity, quality control, and is one of the best in the concert ukulele category. There are a wide variety of ukuleles to choose from, but the final decision lies in your personal preferences, the quality, budget and intended playing style. This list just guides you to know where to look, and what to expect on your journey to becoming an amazing ukuleleist.